Photos courtesy of Walk Long Beach. 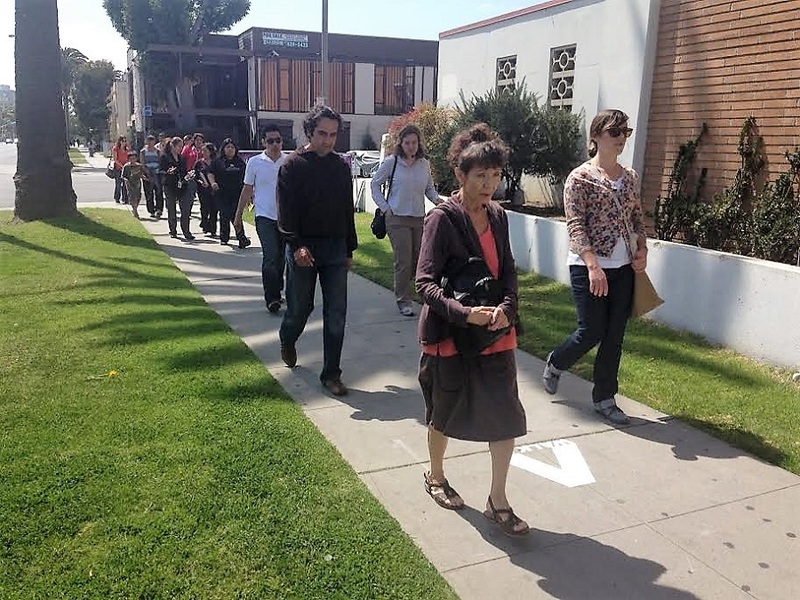 The pedestrian safety and walkable communities advocacy organization, Walk Long Beach, is for the first time bringing Jane’s Walk to the city, a program in honor of the forward-thinking urbanist. Jane’s Walk honors Jane Jacobs’ (1916-2006) legacy of putting the interests of local residents and pedestrians first, as opposed to a car-centered approach to urban planning. The American-born urban activist and writer introduced what were groundbreaking ideas at the time in her 1961 treatise, The Death and Life of Great American Cities. “Cities have the capability of providing something for everybody, only because, and only when, they are created by everybody,” Jacobs wrote in the treatise. Jane’s Walk started in Toronto, and now spans 200 cities across six continents, cultivating an understanding of how cities function, grow and thrive, increasing urban literacy and promoting neighborhood cohesion, civic engagement and leadership. 2016 was the 100th anniversary of the birth of Jane Jacobs, and this year will mark the 11th Anniversary of Jane’s Walk. From April 29 to May 13, a series of Jane’s Walks will be hosted throughout Long Beach for the first time, with the official weekend taking place May 5 to 7. No registration is required and participation is free. The Color Block Walk hosted by Vice Mayor Rex Richardson, the city’s Parks, Recreation and Marine Department and local nonprofit urban design studio City Fabrick. The half-mile walk follows a pedestrian trail around the 91 Freeway, where participants can provide feedback on the Uptown Open Space Plan. Dress accordingly to handle washable color powders. Snacks and refreshments will be provided. May 6 from 10:00AM to 2:00PM, starting from Myrtle Avenue and 67th Street. Hosted walks will start on the half hour. Hosted by the Downtown Long Beach Alliance (DLBA), this Jane’s Walk will coincide with the Taste of Downtown event on Pine Avenue. Co-hosted by nonprofit We Are the Next, the walk will showcase the “Step Back” historical viewer installations. The walk will take place on May 3 and begin at 5:30PM from the northeast corner of Pine Avenue and Ocean Boulevard. The Belmont Heights Community Association has a two-mile walk in the works, focused on the area’s local development history. Anyone can lead a Jane’s Walk, and can plan one in just a few days. All that’s required is a theme, a meeting point, a time and a route. 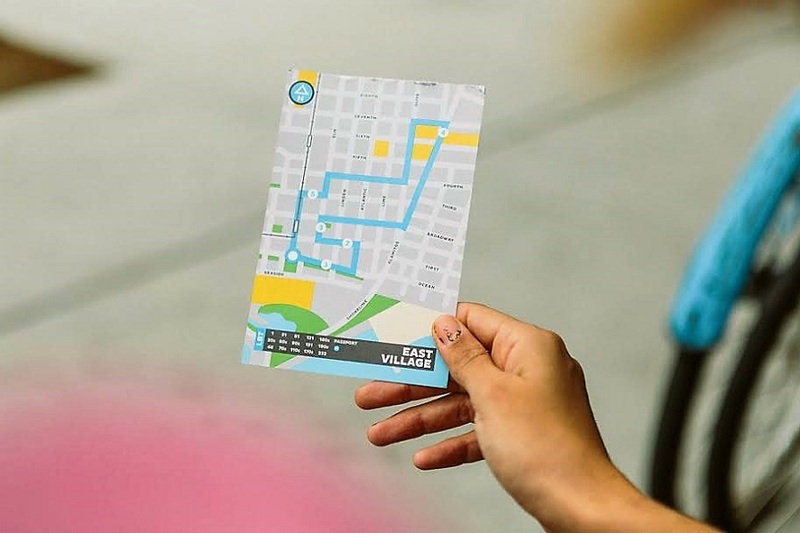 Possible themes can include, preservation, revitalization, public art, green spaces, the lives of immigrants and other political or environmental issues that impact urban residents, according to Walk Long Beach. A typical walk might last about an hour, give or take 15 minutes, with no more than six stops along the route. The point is to spark conversation about what participants see along the way as a shared experience, not a presentation. Walks can be posted online, promoted through flyers, email lists and social media using #JanesWalk. 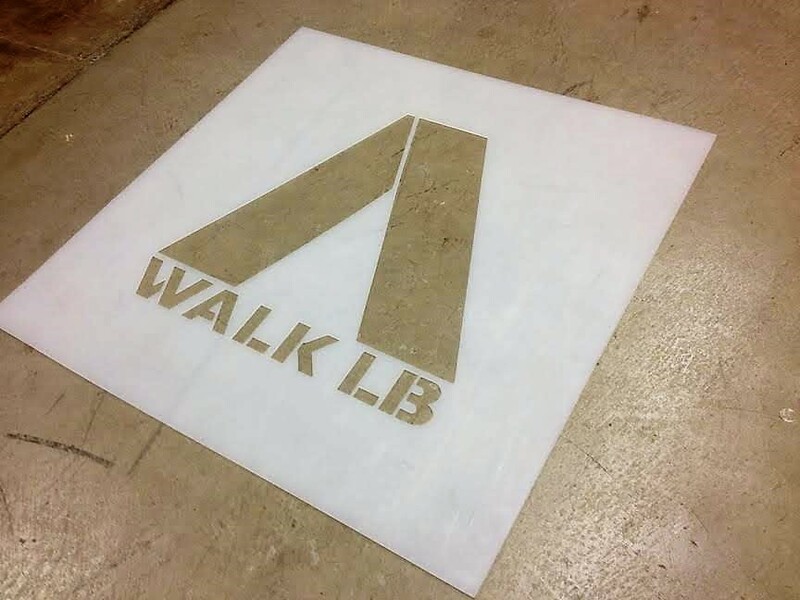 Walk Long Beach is helping those interested in planning routes. Contact Steve Gerhardt, executive director, at (562) 912-6004 or email [email protected] for more information. Follow Walk Long Beach and check on available walks on Facebook here. To learn more about #JanesWalk, visit the site here.